Speedtest results, Vodafone cable, late 2013... How is xDSL? 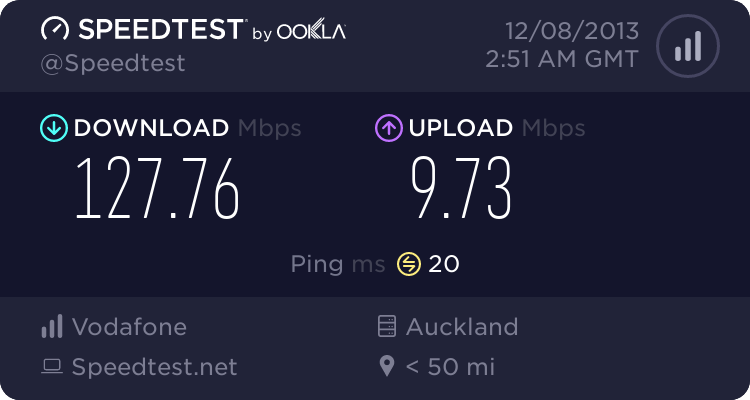 Forums › Vodafone New Zealand › Speedtest results, Vodafone cable, late 2013... How is xDSL? Today I decided to download a movie from Amazon Instant Video, and it came down quite fast. 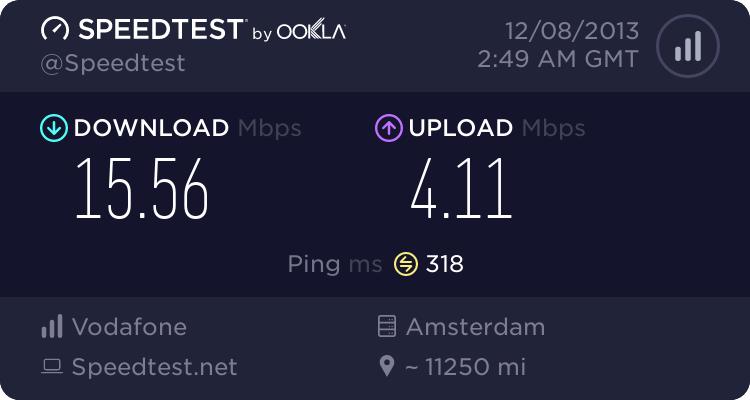 so I decided to go on a round of speedtests*. 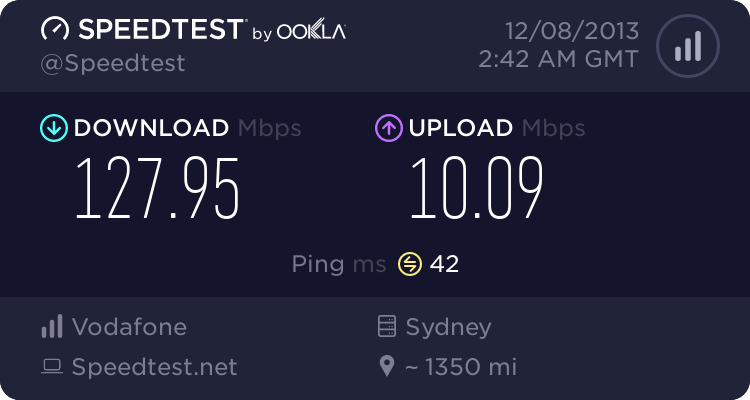 I am on a Vodafone cable plan (HFC network, 130 Mbps down/10 Mbps up). Pretty impressive and well done Vodafone. Now we just need some larger caps at so we can use more of those speeds. What are you folks seeing on xDSL offerings? 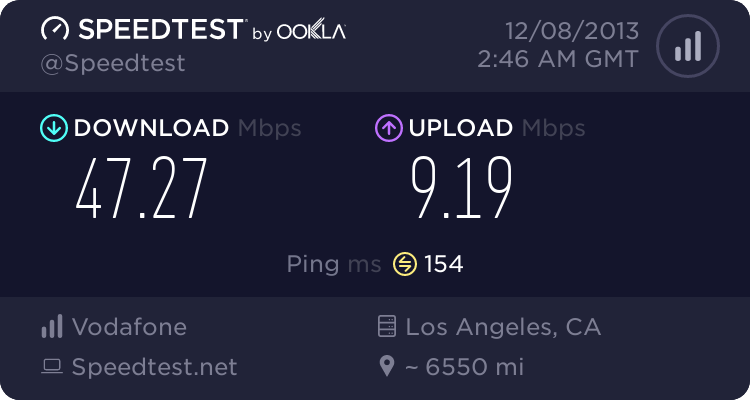 * Yes, I know speedtests aren’t conclusive. External networks have bottlenecks, servers may not have large enough capacity, etc. But it’s a reference as good as any and for what’s worth some of that do reflect in how fast your browsing, streaming and downloading work.